A great source of wholegrain fibre, proteins, and natural vitamins and minerals. 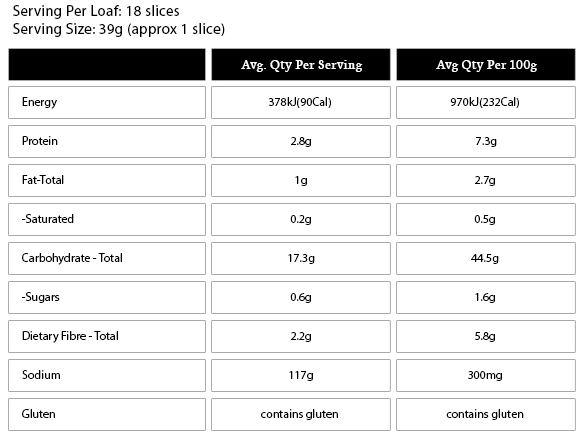 Just 2 slices per day will provide up to 30% of your daily fibre needs. A great source of wholegrain fibre, proteins, and natural vitamins and minerals. Just 2 slices per day will provide up to 30% of your daily fibre needs. 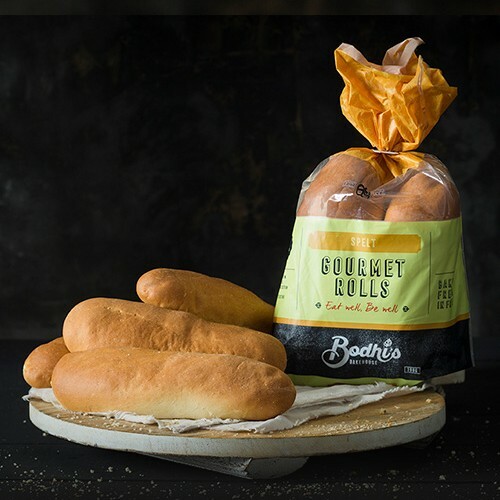 A great bread for those with a sensitive digestive system and for those searching for a Low GI bread. 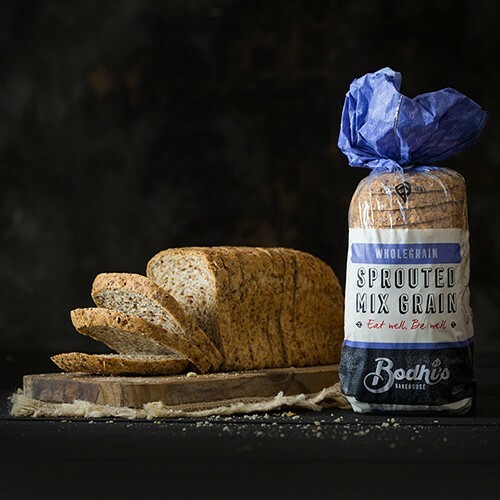 Spelt Wholemeal is made with the finest spelt flour available.They are gently mixed then allowed to sit so time and Natural Spelt Sour Dough can begin to do its work on the ingredients. 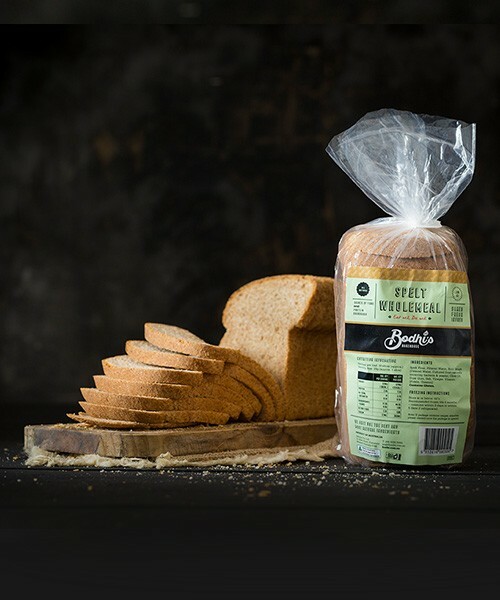 Spelt Wholemeal has that traditional rusty spelt colour to the crumb, yet are a bread with a smooth and gentle crumb that will be loved by the whole family. Being 100% free of additives and preservatives the loave will leave you with a nutty taste sensation. Use it for French toast at breakfast time, a sandwich treat at lunch or simply enjoy it as a side dish with your dinner. You will love it all day long. A good Source of both Insoluable and Soluable Wholegrain Fibre, proteins & natural vitamins and minerals! Eating 2 or more slices of Spelt Wholemeal everyday may help maintain better digestive balance by providing up to 30% of your daily fibre needs (whole grain fibre). The bread is high in quality proteins. It is very easily digested and it has a very Low GI. Many of our customers report, whilst spelt still contains gluten, it is much more tolerable and less irritable than wheat gluten. 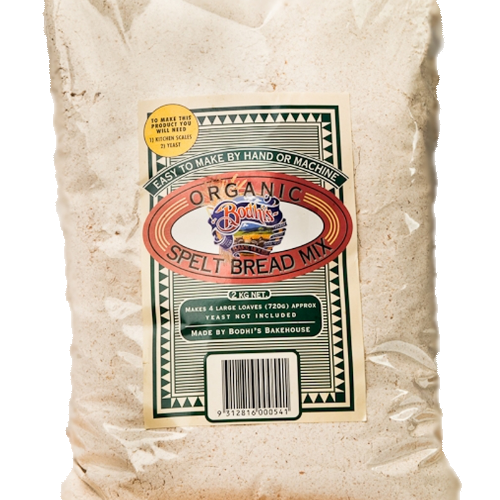 Spelt is an excellent soure fo vitamin B2 and a good source of manganeses, magnesium, niacin, thiamine and copper. Spelt Flour, Filtered Water, Natural Spelt Sour Dough, Sunflower Oil, Salt.